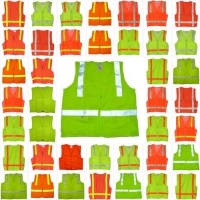 Texas America Safety Company offers a wide range of safety vests to fit every application. 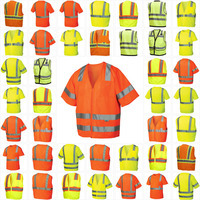 We offer just plain safety vests with no stripes, and also safety vests with reflective stripes. 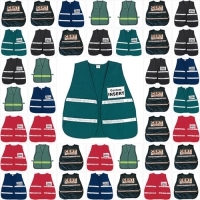 We also offer surveyors safety vests that come with pockets, FR Flame Resistant vests, and of course ANSI Class II and Class III vests in many sizes and colors. 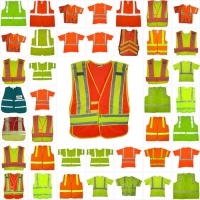 No matter what your application, we have the right safety vests for you! 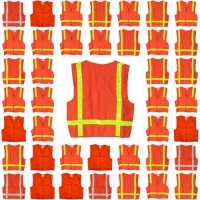 Since we carry so many different safety vests, we’ve created this page to let you sort our inventory based on application. You’ll find 12 different categories on this page. 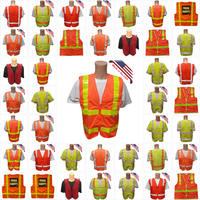 We stock safety vests for applications like traffic safety, incident command, first responder, public service and surveyor. 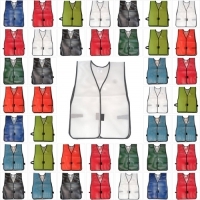 You can even sort our vests based on whether or not you need economy PVC coated or economy soft mesh. Our economy PVC-coated vests are ideal for applications that require additional durability, so they’re great for rough environments. The PVC coating prevents the material from bunching up, which can decrease visibility. 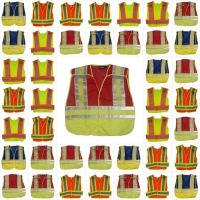 Our economy soft mesh vests are made for optimal comfort and can be used for many different jobs. 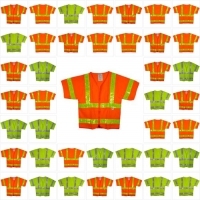 We carry safety vests with stripes, which are great for workers who must direct traffic. 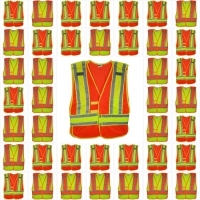 Our stock of ANSI class II safety vests are actually designed for flaggers, construction workers and utility workers because they’re highly visible and ANSI compliant. 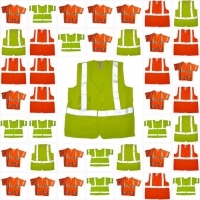 If you get stuck working in hot weather, consider our cotton safety vests. 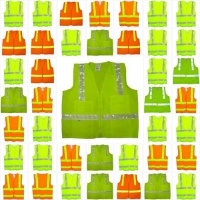 For very high-risk jobs, our ANSI class III vests offer superior visibility. 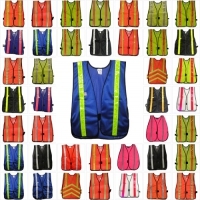 We stock a wide selection of incident safety vests, which make identifying different groups much easier. 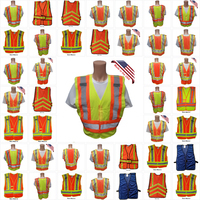 Our traffic safety vests are ideal for all workers who must work around automobile traffic. If you’re a first responder, we carry several different safety vests for your line of work. There aren’t many applications that we don’t have vests for. 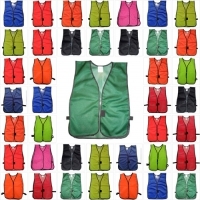 Browse our vast selection and find the vest that is ideal for the specific work that you do. .